That’s clever to turn it on its side. It came out great! that looks very nice! I really do like it. Very cute. I’m beginning to love wrought iron all over again! Amazing!! I love it! I finally have my husband picking pallets up off the side of the road…maybe I can add old windows to the list! Thank you for sharing your amazing ideas!! Tara, this looks perfect over the sofa, and the burlap wreath is a nice touch too! Pinning! Your window project is so darn cute. Everywhere! It’s usually Facebook yard sale groups I get the most from though. You can also look to see if you have a Habit For Humanity store in your area. The items left from building are sold there. I’ve not had a chance to visit, but my neighbors have found amazing items at great prices!!! This is an awesome window project! I’d love to feature it in a roundup using one picture and linking back to this blog post. Hi. Love this!! How did you hang it on the wall? Thank you Miranda! I attached 3 D-Ring Rooks to the top backside. WOW! that is beautiful! I have all the elements to make the same look! I secured D-Rings onto the back of the window. Did you use a chain? Or wire? I used D-rings. I love using them for heavier pieces. I love the invert bracket idea. So cool. As a hanger. Chain or rope? Did you strip the window frame down before you painted it, or just clean it and paint over the grunge? I didn’t strip it down. It’s old so I didn’t know if it was lead paint or not so I just wiped it down and primed it right over the existing paint. What size are the brackets or the width of the wood? I am seeing the brackets are on the Hobby Lobby website, in multiple sizes. I just pulled out a 9-pane window I had in the attic FOREVER after seeing your project. 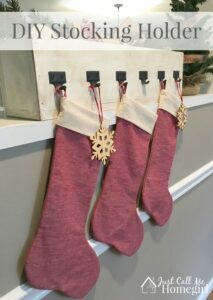 Perfect for my dining room, and I absolutely LOVE this project! Thank you for sharing! They’re small. The wood is only a one by 3. so About three inches. This is a great idea and totally changes the look. I love it and I enjoyed visiting your lovely blog. I just Love this and most all Your renovations!!!! But I have a question for You. I am in search of some rustic wood floating shelves,,,I can find Them on Etsy and Ebay but They cost a small mortgage (Lol) any ideas? You could always make some! I know Shanty2Chic has some great plans! Or try Overstock or something like that. I love this! I just found a window like this and this is such inspiration! My window is already an off white, do you recommend that I just distress and use antiquing wax? Also, what kind of antiquing wax did you use? Did you use sandpaper to distress? Is that an outlet or switch beneath the last picture of the shelf, or is it a brace of some sort?? I ask because you cannot see it in the other full pics of the shelf and the sofa, but you can see a faint rectangle under the shelf and I thought maybe it had been edited out. This is really cute and I’m thinking of something like this over my sofa. It is an outlet. I edited out of one picture because it was too distracting. Like the looks of adding on the shelf. Something that heavy; was wondering how you hung it and with what type of wall hanger? Thanks! I used D-Rings on the back and used Gorilla Hooks to hang them. Just FABULOUS!! I currently have a window frame that I painted an accent color, adhered to my bathroom wall and attached small hooks and use it as a jewelry hanger. But, I’m ready for a bathroom update and didn’t know what to do differently with the frame which is FIRMLY attached to the wall 😂! I love your decorations!! I’m going to add a shelf about 6” wide for small eclectic boxes to hold the jewelry. Then a 4” shelf (my frame had three window sections) for some perfume bottles and sentimental items. Being the bathroom I don’t want to risk putting pictures there. However, a friend recently gave me a single French door that I was just going to put pictures in and hang sideways in my living room. But with this great idea, I’m now going to add a deeper shelf. Add some pictures in a more random manner. Maybe a dried herb wreath at a corner (love your wreath!) and some momentos. Thanks for this beautiful idea!! Love the window! GREAT JOB! Is the shelf only held up by the brackets? I’m so late to the game commenting on this! It turned out sooo cute! How on earth did you hang it with the heavy glass still intact?